One question that I field a lot with the increase is social media communication is, “Is email marketing still effective and worth the effort?” Simply answered…”YES”! Even with the considerable shift of online communication through the means of social media, email is still a very effective marketing tool to reach your prospects and clients. In 2011, A Pew Research study showed that on average, around 74% of all people still use email as their primary source of communication. So while Facebook, Twitter and other sites have grown exponentially, people are still using their email for the majority of their communication. 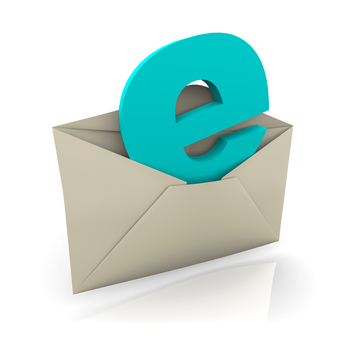 Here are a few things to remember when implementing email marketing. These will help you to make sure that you utilize this important tool efficiently and effectively. A common mistake that a lot of businesses make with email marketing is compiling everyone that provides their email address into one giant list. People sign up for your email list for different reasons and you should take advantage of that. As an example, if someone signs up for your list because you are offering a deal on walleye lures, put that person on your ‘Walleye Fisherman’ list. Don’t put that person on the same list with someone who signed up because they were interested in backpacking gear. Use these differences to your advantage and make sure the emails that these customers receive from you are for products that you absolutely KNOW they will be interested in. While you don’t want to send too many emails to the people on your email lists, don’t pass up good opportunities. One example of this is special occasions or holidays. Is there a local community sponsored event coming up where you can both help to promote the event, while also utilizing it as an opportunity to let your email subscribers know about a special deal that you have available to them? People are very receptive to coupons and special offers. They are even more receptive when the offer is for a special occasion like the 4th of July or Labor Day. Don’t let these profitable opportunities get away, use them to your advantage and reap the rewards. When offering incentives for signing up for you email lists, it is very important to be very generous. Not only will more people be eager to provide their email addresses, but you’ll get a lot more of those people to actually buy your product or service. An attractive initial offer may in fact buy you a customer for life!